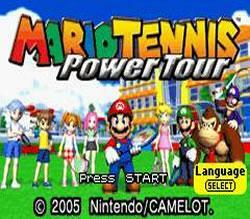 A follow up for the Mario Tennis series, Mario Tennis: Power Tour is the only game for Gameboy Advance in the Tennis series, it is extremely similar to Mario Tennis GB and it is the first portable game to include power shots. It was considered challenging due to its RPG elements. 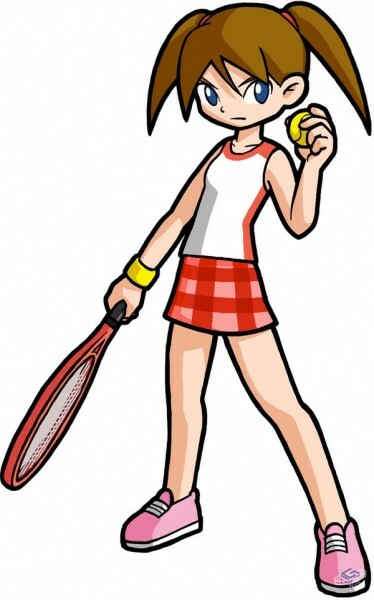 The whole game rotates around the main story mode, we now go to the Royal Tennis Academy, either as Clay or Ace, Max or Tina depending on the game localization. As they start their career as upcoming pro tennis players a group of Masked characters come to the academy and defeat the champions. Now determined to find their origins, the player has to go through all the ranks to be the best and gain enough levels to defeat them and bring the titles back to the Academy. The inclusion of several types of courts and mini games were the most fun factor and helped the game to be better received. Players can test their backhand in this role-playing tennis adventure. 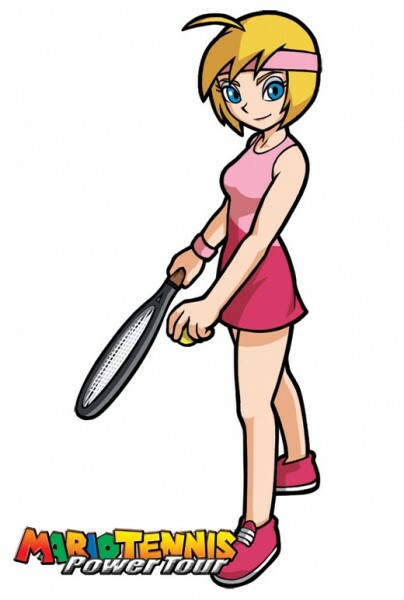 In this sequel to Mario Tennis for Game Boy Color, players have to train hard in the Royal Tennis Academy if they want to be champions. Players gain experience and improve skills through lessons and tournaments, but in the end, they have to beat Mario at his own game if they want to rise to the top of the ranks. Play as Mario, Peach, Waluigi or Donkey Kong in a slew of wild modes. As players advance through the story, they unlock even more characters, all with their own power moves. Link up with a friend or three for even more frantic fun. This game is played just like the other Mario Tennis Games, it includes powershots and different kind of shots that are made with keys combinations. There are six type of usable characters which include. All Around Characters: Which have all stats balanced. Hard Court: This is a normal court which has a normal speed and a strong ball bounce, great for beginners. Clay Court: A court with slower ball speed and a lower ball bounce, a challenge for every kind of player. Composition Court: The fastest ball speed court, impressive for tournaments and the true challenge. Peach Dome: A good all round, none special qualities, type of court. Wall Practice: Just hit the ball on the panels to gain points. Tennis Machine: Great to practice your defense, just return the balls that the machine shoots at you. Treadmill: RUN RUN RUN, run as rapid as you can over bananas and barrels. Bicep Pump: Make those balloons pop by pumping them full of air. Jump Gym: Jump and break those bricks, Mario style. Swift Spin: Get coins as you screw the screws, lifting them up and bringing them down. 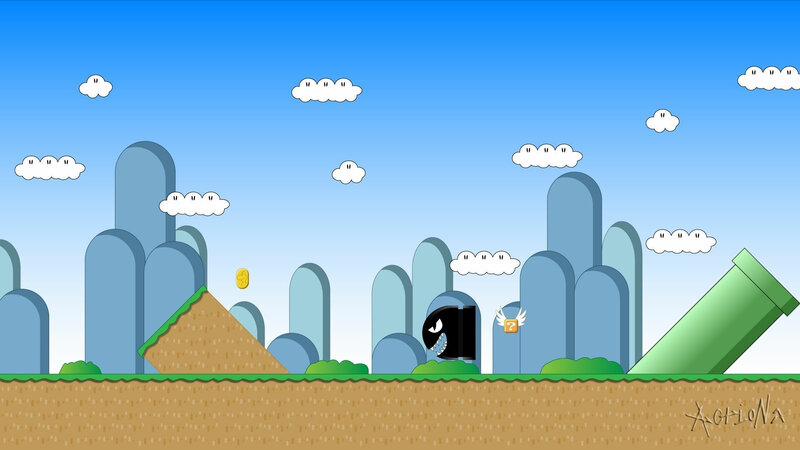 Duck Walk: Watch your step as you avoid the electric panels on this running game. Rope Climb: Get the flags as you climb through the ropes up and get to the platform on the top. Reflex Rally: Scissors, Paper, Rock! Beat the Mech before the time is up! Tight rope: Keep your balance to avoid falling from the tight rope! Tacklebot: Build momentum to drop down the tackle bot. Instinct Drill: Try to use your Psychic Powers to guess what kind of card you will get! The game was well received over all, getting high scores from most gaming publications, the game was only criticized of carrying problems from the Gamecube version of the game including the lack of a deep history mode and Power Shots. IGN Score: 90/100, Kombo: 9.1/10, Gamezone: 9/10 and Kawrence: 89/100. 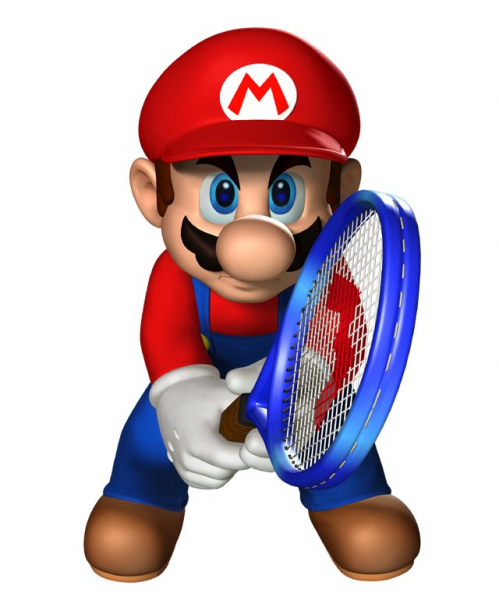 A couple of videos of Mario Tennis: Power Tour including it's intro video and a Lets Play series by TalesOfTheToaster. This game has Waluigi but Wario doesn’t appear but at the game intro saying “Nintendo”. One of only a handful of Mario series titles where the USA version of the game lets players select European languages.